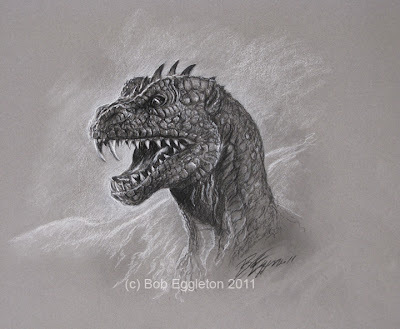 I did this drawing for study for IDW's new Godzilla comic which I am doing three covers to the GODZILLA LEGENDS series. 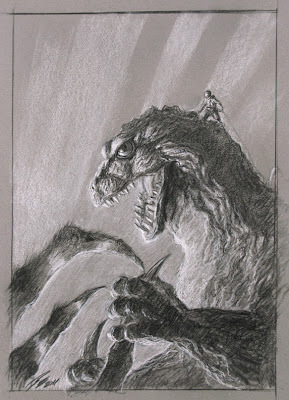 This is the study for cover #5 which he battles Kumonga, the giant spider whilst someone climbs him! Some changes were made to the small figure as per IDWs instructions, but it still came out pretty good in the final. Rhedosaurus 2 (Conte and Chalk) SOLD! 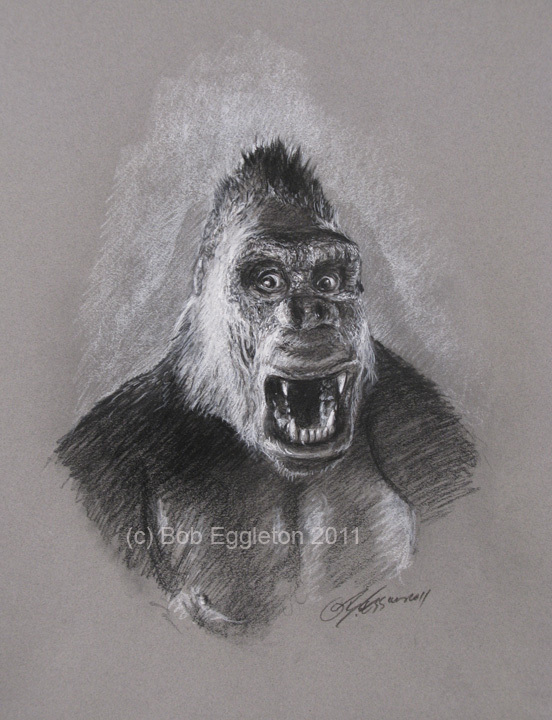 "High Browed Kong" (conte, chalk, 18x24 matted) $100. 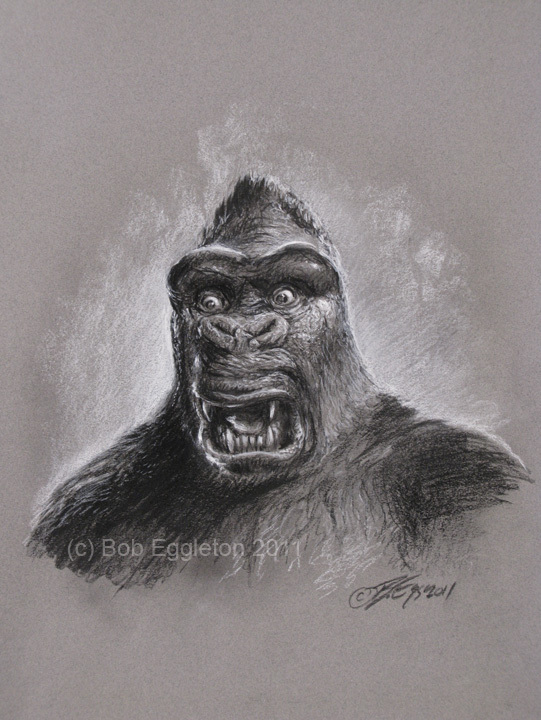 "LOng Faced Kong" (conte, chalk, 18 x24 matted) $110. 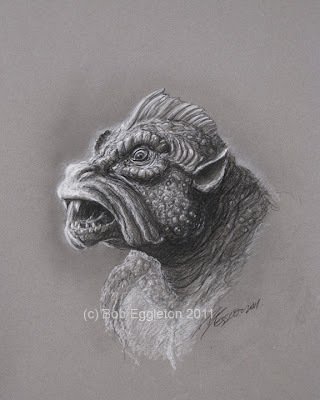 Some newish drawings of some movie stop motion beasts, just for fun. These don't last long, in fact as you can see one sold already!! !